Ballard Elks Lodge events and charitable efforts are made possible by the many members who generously give their time. There are many opportunities to help, from setting up tables and serving food at lodge dinners to marching in local parades to chairing a committee. We ask that each member commit at least 5 hours of time per year to help us meet our Lodge participation goals and requirements. Contact the Volunteer committee to sign up: volunteer@ballardelks.org or use the form below. 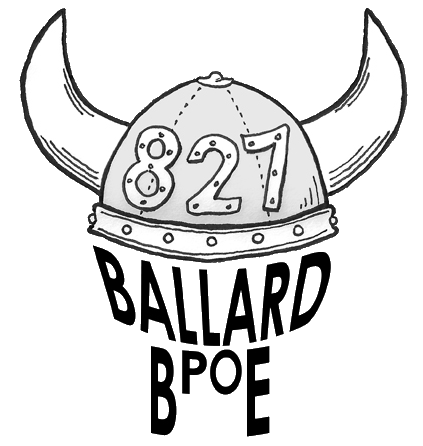 Thank you for your support of Ballard Elks Lodge 827 and our local community! Does your employer offer a volunteer matching program? Visit the Elks National Website to see if your employer is listed in the online directory. Many organizations, like Microsoft, will kick in $25/hr for volunteer time their employees spend giving back to the Elks.